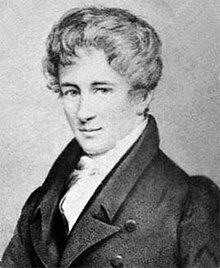 Niels Henrik Abel (5 August 1802 – 6 April 1829) was a Norwegian mathematician who made pioneering contributions in a variety of fields. His most famous single result is the first complete proof demonstrating the impossibility of solving the general quintic equation in radicals. This question was one of the outstanding open problems of his day, and had been unresolved for 250 years. He was also an innovator in the field of elliptic functions, discoverer of Abelian functions. Despite his achievements, Abel was largely unrecognized during his lifetime and died at the age of 26. It is impossible to solve the general equation of the fifth degree in terms of radicals. It follows immediately from this theorem, that it is also impossible to solve the general equations of degrees higher than the fifth, in terms of radicals. My work in the future must be devoted entirely to pure mathematics in its abstract meaning. I shall apply all my strength to bring more light into the tremendous obscurity which one unquestionably finds in analysis. It lacks so completely all plan and system that it is peculiar that so many have studied it. The worst of it is, it has never been treated stringently. There are very few theorems in advanced analysis which have been demonstrated in a logically tenable manner. Everywhere one finds this miserable way of concluding from the special to the general, and it is extremely peculiar that such a procedure has led to do few of the so-called paradoxes. It is really interesting to seek the cause. In analysis, one is largely occupied by functions which can be expressed as powers. As soon as other powers enter—this, however, is not often the case—then it does not work any more and a number of connected, incorrect theorems arise from false conclusions. I have examined several of them, and been so fortunate as to make this clear. ...I have had to be extremely cautious, for the presumed theorems without strict proof... had taken such a stronghold in me, that I was continually in danger of using them without detailed verification. 0 = 1 - 2n + 3n - 4n + etc. On the whole, I do not like the French as well as the Germans; the French are extremely reserved toward strangers... Everybody works for himself without concern for others. All want to instruct, and nobody wants to learn. The most absolute egotism reigns everywhere. The only thing the French look for in strangers is the practical; no one can think except himself, he is the only one who can produce anything theoretical. This is the way he thinks and so you can understand it is really difficult to be noticed, particularly for a beginner. It is readily seen that any theory written by Laplace will be superior to all produced of lower standing. It appears to me that if one wants to make progress in mathematics, one should study the masters and not the pupils. His memoirs on elliptic functions, originally published in Crelle's Journal (of which he was one of the founders), treat the subject from the point of view of the theory of equations and algebraic forms, a treatment to which his researches naturally led him. it gives the addition theorem for the circular (or trigonometrical) funtions. where u is a rational function of x and y. The theory of Abelian functions has been studied by a very large number of modern writers. when x and n are complex. As illustrating his fertility of ideas... notice his celebrated demonstration that it is impossible to express a root of the general quintic equation in terms of its coefficients by means of a finite number of radicals and rational functions; this theorem was the more important since it definitely limited a field of mathematics which had previously attracted numerous writers. ...this theorem had been enunciated as early as 1798 by Paolo Ruffini... but I believe that the proof he gave was lacking in generality. Like Jacobi and many other young men who became eminent mathematicians, Abel found the first exercise of his talent in the attempt to solve by algebra the general equation of the fifth degree. ...His extraordinary success in mathematical study led to the offer of a stipend by the government, that he might continue his studies in Germany and France. ...Encouraged by Abel and Steiner, Crelle started his journal in 1826. At nearly the same time with Abel, Jacobi published articles on elliptic functions. Legendre's favourite subject, so long neglected, was at last to be enriched by some extraordinary discoveries. The advantage to be derived by inverting the elliptic integral of the first kind and treating it as a function of its amplitude (now called elliptic function) was recognised by Abel, and a few months later also by Jacobi. A second fruitful idea, also arrived at independently by both, is the introduction of imaginaries leading to the observation that the new functions simulated at once trigonometric and exponential functions. For it was shown that while trigonometric functions had only a real period, and exponential only an imaginary, elliptic functions had both sorts of periods. These two discoveries were the foundations upon which Abel and Jacobi, each in his own way, erected beautiful new structures. Abel developed the curious expressions representing elliptic functions by infinite series or quotients of infinite products. Great as were the achievements of Abel in elliptic functions, they were eclipsed by his researches on what are now called Abelian functions. Abel's theorem on these functions was given by him in several forms, the most general of these being that in his Mémoire sur une propriété générale d'une classe trés-étendue de fonctions transcendentes (1826). ...A few months after his arrival in Paris [July, 1826], Abel submitted it to the French Academy. Cauchy and Legendre were appointed to examine it; but said nothing about it until after Abel's death. ...The memoir remained in Cauchy's hands. It was not published until 1841. By a singular mishap, the manuscript was lost before the proof-sheets were read. Abel's theorem was pronounced by Jacobi the greatest discovery of our century on the integral calculus. The aged Legendre, who greatly admired Abel's genius, called it "monumentum aere perennius." During the few years of work allotted to the young Norwegian, he penetrated new fields of research, the development of which has kept mathematicians busy for over half a century. Other mathematicians confess that they have been unable to understand this proof and some have made the correct observation that Ruffini, perhaps by proving too much, had proved nothing in a satisfactory manner. Monsieur Abel has shown by a more penetrating analysis that there can be no algebraic [radical] roots, but he does not deny the possibility of transcendental roots. We recommend this problem to the attention of mathematicians specializing in this field. It is most remarkable that two men as different in character and outlook as Abel and Galois should have been interested in the same problem and should have attacked it by similar methods. Both approached the problem of the quintic equation in the conviction that a solution by radicals was possible; Abel at eighteen, Galois at sixteen. In fact, both thought for a while that they had discovered such a solution; both soon realized their error and attacked the problem by new methods. Analysis grew and grew, not heeding the warnings of the critics, constantly forging ahead and conquering new domains. First geometry and mechanics, then optics and acoustics, propogation of heat and thermodynamics, electricity and magnetism, and finally even the laws of the Chaos came under its direct sway. ...And yet this magnificent structure was created by the mathematicians... without much thought of the foundations on which it rested. Is it not remarkable then, that in spite of all the loose reasoning, all the vague notions and unwarranted generalization, so few serious errors had been committed? ...Then came the critical period: Abel and Jacobi, Gauss, Cauchy and Weierstrass, and finally Dedekind and Cantor, subjected the whole structure to a searching analysis, eliminating the vague and ambiguous. And what was the net result of this reconstruction? Well, it condemned the logic of the pioneers, but vindicated their faith. The tract in which Leibnitz deals with series appeared late in the seventeenth century and was among the first on the subject. ...the question of their convergence or divergence ...was in those days more or less ignored. ...It was not until the publication of Jacques Bernoulli's work on infinite series in 1713 that a clearer insight into the problem was gained. ...Bernoulli's work directed attention towards the necessity of establishing criteria of convergence. The evanescence of the general term, i.e., of the generating sequence, is certainly a necessary condition, but this is generally insufficient. Sufficient conditions have been established by d'Alembert and Maclauren, Cauchy, Abel, and many others. ...to recognized whether a series converges or diverges is even today rather difficult in some cases. One question that the Cardano-Ferrari work left unanswered was the algebraic solution of the quintic... as was well known, any fifth-degree equation must have at least one real solution. ...because the graphs of odd-degree equations ...rise ever higher as we move in one direction on the x-axis and fall ever lower as we move in the other direction ...the continuous graph must somewhere cross the x-axis. A similar argument guarantees that any odd-degree polynomial equation has at least one real solution. ...It was the precise formula... that the algebraists who followed Ferrari were seeking. ...A century passed, and another, yet no one could provide a "solution by radicals" ...in spite of the fact that later mathematicians found a transformation to reduce the general quintic to...z5 + pz = qThen... Niels Abel shocked the mathematical world by showing that no "solution by radicals" was possible for fifth- or higher-degree equations. ...Abel's proof ...stands as a landmark in mathematics history. Abel did not deny that we might solve quintics using techniques other than algebraic ones of adding, subtracting, multiplying, dividing, and extracting roots. ...the general quintic can be solved by introducing... "elliptic functions," but these require operations considerably more complicated than those of elementary algebra. In addition, Abel's result did not preclude our approximating solutions... as accurately as we... wish. What Abel did do was prove that there exists no algebraic formula... The analogue of the quadratic formula for second-degree equations and Cardano's formula for cubics simply does not exist... This situation is reminiscent of that encountered when trying to square the circle, for in both cases mathematicians are limited by the tools they can employ. ...the restriction to "solution by radicals"... hampers mathematicians... what Abel actually demonstrated was that algebra does have... limits, and for no obvious reason, these limits appear precisely as we move from the fourth to the fifth degree. But I would not like to part from this ideal type of researcher, such as has seldom appeared in the history of mathematics, without evoking a figure from another sphere who, in spite of his totally different field, still seems related. Thus, although Abel shared with many mathematicians a complete lack of musical talent, I will not sound absurd if I compare his kind of productivity and his personality with Mozart's. Thus one might erect a monument to this divinely inspired mathematician like the one to Mozart in Vienna: simple and unassuming he stands there listening, while graceful angels float about, playfully bringing him inspiration from another world. Instead, I must mention the very different type of memorial that was in fact erected to Abel in Christiania and which must greatly disappoint anyone familiar with his nature. On a towering, steep block of granite a youthful athlete of the Byronic type steps over two greyish sacrificial victims, his direction toward the heavens. If needed be, one might take the hero to be a symbol of the human spirit, but one ponders the deeper significance of the two monsters in vain. Are they the conquered quintic equations or elliptic functions? Or the sorrows and cares of his everyday life? The pedestal of the monument bears, in immense letters, the inscription ABEL. Rigorous analysis begins with the work of Bolzano, Cauchy, Abel, and Dirichlet and was furthered by Weierstrass. Abel read Lagrange's and Gauss's work in the theory of equations and while still a student in high school tackled the problem of the solvability of higher degree equations by following Gauss's treatment of the binomial equation. At first Abel thought he had solved the general fifth degree equation by radicals. But soon... he tried to prove that such a solution is not possible (1824-26). First he succeeded in proving the theorem: The roots of an equation solvable by radicals can be given such a form that each of the radicals occurring in the expressions for the roots is expressible as a rational function of the roots of the equation and certain roots of unity. Abel then used this theorem to prove the impossibility of solving by radicals the general equation of degree greater than four. ...His paper ...contained an error in a classification of functions, which fortunately was not essential to the argument. He later published two more elaborate proofs. A simple, direct, and rigorous proof based on Abel's idea was given by Kronecker in 1879. Thus the question of the solution of general equations of degree higher than four was settled by Abel. He took up the problem of the division of the lemniscate (solving xn - 1 = 0 is the equivalent of the problem of the division of the circle into n equal arcs) and arrived at a class of algebraic equations... Abelian equations, that are solvable by radicals. The cyclotomic equation [xp - 1 = 0, where p is a prime] is an example... In this last work he introduced two notions (though not the terminology), field and polynomial irreducible in a given field. By a field of numbers he, like Galois later, meant a collection of numbers such that the sum, difference, product, and quotient of any two numbers in the collection (except division by 0) are also in the collection. ...A polynomial is said to be reducible in a field (usually the field to which its coefficients belong) if it can be expressed as a product of two polynomials of lower degrees and with coefficients in the field. Abel then tackled the problem of characterizing all equations which are solvable by radicals and had communicated some results... just before death overtook him in 1829. He was sent in 1815 to the cathedral school of Christiania, where he did not show any remarkable sign of progress, until 1818 when M. Holmboe, a newly-appointed professor of mathematics, afterwards the writer of Abel's life, and editor of his works, discovered his talent for mathematics, and aided him in pursuing those sciences beyond the elements. In the obituary published by Crelle, in his "Journal," he states distinctly that the large number of important memoirs which Abel had ready for publication was the immediate reason of the "Journal" being undertaken. Nothing can be a severer trial to a mathematician's character than the publication of his loose papers; but, however crude the speculation, Abel is never lowered. He had read comparatively so little, that all which he has left bears the stamp of his own most original power; and there is not much which fails to leave the impression made on Legendre by his treatment of elliptic functions. ...The frankness of the acknowledgment made by Legendre, and the spirited manner in which the old man set to work to incorporate the new discoveries into his own books, will never be forgotten by any biographer of Abel. It is unnecessary to specify the particular methods of the latter; all who study the subject of elliptic functions are fully aware how much is due to him. He appears to have fully developed in his own mind the subject of the separation of symbols of operation and quantity, not indeed to the extent of founding its results upon an algebraical theory, but to that of giving the theory a wider amount of application. He was a daring generalizer, and sometimes went too far: had he lived, he would have corrected some of his writings. And yet he appears to have been deeply impressed with the notion that a great part of mathematical analysis is rendered unsound by the employment of divergent series. Niels Henrik Abel... wrote a series of mathematical papers that secures him a position among the greatest mathematicians of all time. In his Mémoire sur les équations algébriques... Abel proves the impossibility of solving general equations of the fifth and higher degrees by means of radicals. The paper was published at Oslo in 1824 at Abel's own expense. In order to save printing costs, he had to give the paper in a very summary form, which in a few places affects the lucidity of his reasoning. After the solutions of the third and fourth degrees had been found by Cardano and Ferrari, the problem of solving the equation of the fifth degree had been the object of innumerable futile attempts by mathematicians of the 17th and 18th centuries. Abel's paper shows clearly why these attempts must fail, and opens the road to the modern theory of equations, including group theory and the solution of equations by means of transcendental functions. Abel proposed himself the problem of finding all equations solvable by radicals, and succeeded in solving all equations with commutative groups, now called Abelian equations. Among Abel's other achievements are the discovery of the elliptic functions and their fundamental properties, his famous theorem on the integration of algebraic functions [and] theorems on power series. Having found a method differing from that of Ferrari for reducing the solution of the general biquadratic equation to that of a cubic equation, Euler had the idea that he could reduce the problem of the quintic equation to that of solving a biquadratic, and Lagrange made the same attempt. The failures of such able mathematicians led to the belief that such a reduction might be impossible. The first noteworthy attempt to prove that an equation of the fifth degree could not be solved by algebraic methods is due to Ruffini (1803, 1805), although it had already been considered by Gauss. The modern theory of equations is commonly said to date from Abel and Galois. ...Abel showed that the roots of a general quintic equation cannot be expressed in terms of its coefficients by means of radicals. The mathematical sciences have sustained a great loss in the premature death of M. Abel, whose brilliant discoveries, when quite young, raised the highest expectations of the fruits of his maturer years. Although his labours are but partially known in this country, we hope that a short account of his life will not be unacceptable to our readers. Niels Henrik Abel was born... 1802 at Frindöe... where his father was a clergyman. He showed at first no marks of genius; but at the age of 16... his extraordinary talent for mathematics at once began to develop itself, and be rapidly studied Euler's Introduction to Analysis, his Differential and Integral Calculus, the works of Lacroix, Francœur, Poisson, Gauss, and especially those of La Grange. He next entered the University of the same city. Having lost his father, and being without fortune, he availed himself of the assistance usually granted there to the poorer students; and, besides, had afterwards an allowance conferred on him by the Government. In I820 he published his first paper, intitled "A general method of finding functions of a variable quantity, a property of these functions being expressed by an equation between two variable quantities." Some time after be imagined he had succeeded in finding the general solution of equations of the fifth degree. Having perceived his error, be resolved not to desist until he had either accomplished that solution, or demonstrated the impossibility of the general solution of equations of a higher degree than the fourth. In the latter task he succeeded: his paper was printed in 1824, at Christiania, in the French language. At the recommendation of some Professors of Christiania, he now obtained from the Government an allowance for two years, in order to prosecute his studies abroad. Having spent the allotted time principally at Berlin and Paris, he returned to Christiania. During his absence from his country he published some excellent papers, among which those on Elliptic Functions, which have been honoured with the highest praise by the distinguished veteran Le Gendre, the discoverer of this branch of analysis. ...at the same time, and unknown to him, another young mathematician, Professor Jacobi of Königsberg... began to cultivate with the greatest success the same abstruse part of mathematical analysis. After his return to Christiania M. Abel had at first no regular appointment; and only a short time before his death he began to receive a fixed salary. Unfortunately, his assiduous labours, and the anxiety of mind caused by the uncertainty of his prospects, had undermined his delicate health; and his short career was suddenly terminated on the 6th of April, l829... A very acceptable offer, made to him by the Prussian Government, of a Professorship in the University of Berlin, reached Christiania a few days after his death.